You can photograph an ordinary subject, and make it look extraordinary under beautiful light conditions. 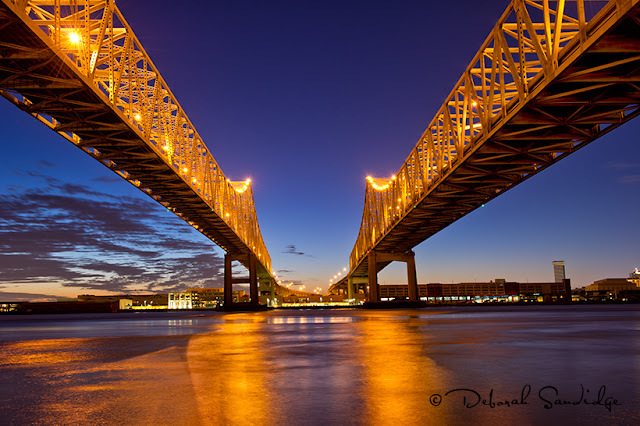 During the blue hour, this bridge looks magical because of the color of the sky, reflections in the water and the lights on the bridge. Waiting for the right moment can make all the difference in a photograph. I used a Nikon 24-70mm lens, f/11 at 15 seconds to capture the scene. Using a different lens type can also create an extraordinary look! 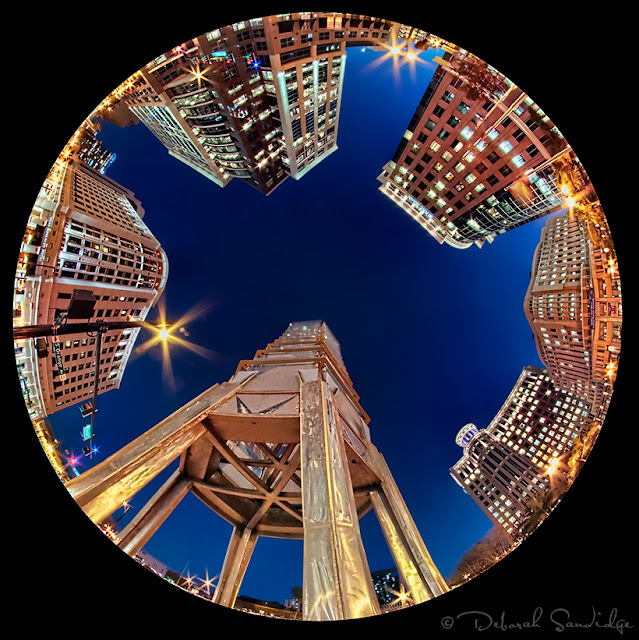 A circular fisheye gave the city of Orlando a round perspective for a fun interpretation of this composition. Using a small aperture accentuates the starburst from the city lights throughout the image. Twilight creates the deep blue sky that makes the city look stunning at night. I used a Sigma 8mm circular fisheye, f/16, 13 seconds on a full frame camera, the Nikon D3s. Starlight can create fascinating opportunities for photography, and is one of my favorite ways to photograph landscapes. I used a Nikon 14-24mm lens for the widest view and composed the scene so that the North star was positioned roughly on the rule of thirds to create a more dynamic composition. For stars, I generally use the widest aperture and expose for 25-30 seconds, adjusting the ISO as needed. 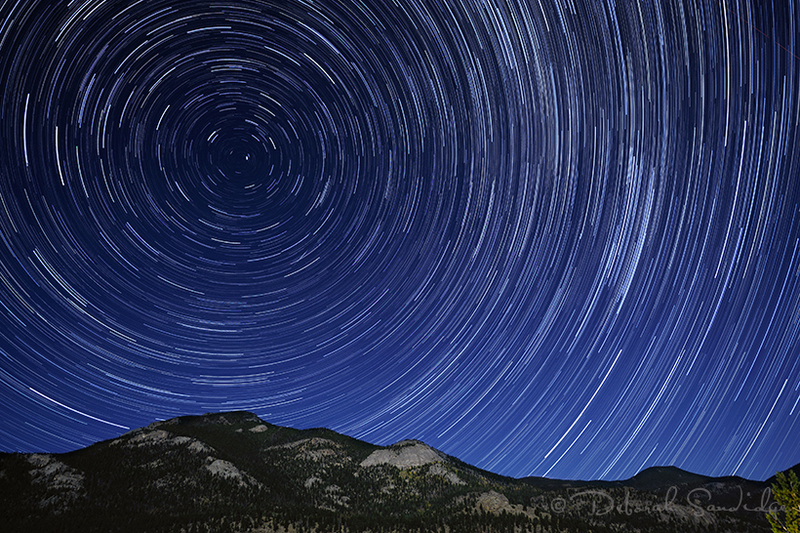 For star trails, I photograph multiple images and stack them in Photoshop to create star trails. 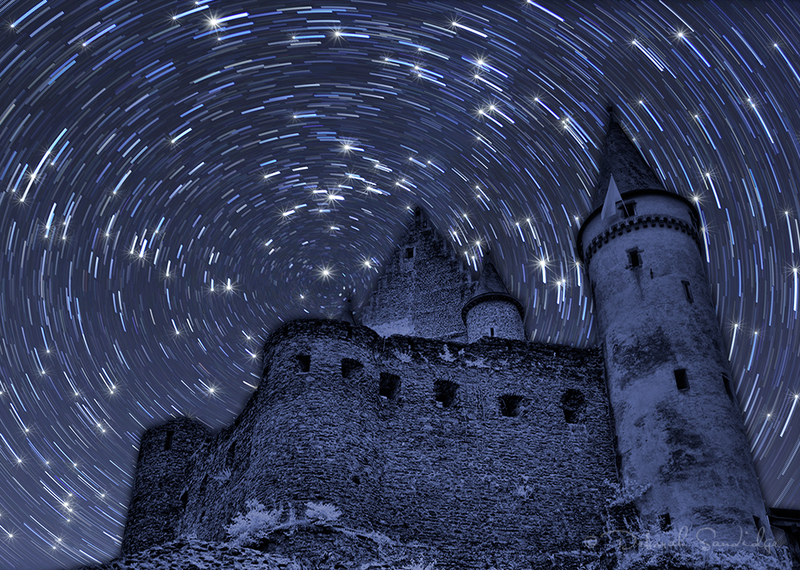 Click here to take the stars for a spin, a before/after of the stars as pinpoints and the stars as star trails. Want to read more about photographing nightscapes from twilight to starlight? You can read my article on the Topaz Labs Blog, and also more on how to shoot nightscapes on the Pro Insights page.